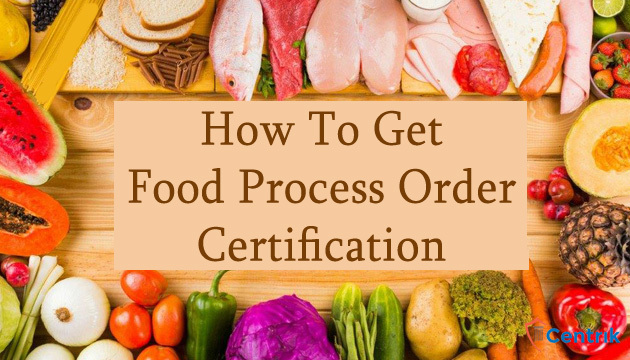 How to FPO (Food Process Order) Certification? CentrikBlogsBusiness AdvisoryRegistration And ComplianceHow to FPO (Food Process Order) Certification? In India, all processed and packaged fruit products are mandated to be certified with FPO Mark. But discuss regarding FPO registration, we must know about FPO. FPO stands for Fruit Products Order. Food process order or FPO mark is issued by the Ministry of Food processing Industry which also develops the standards for this mark. The mark was named after the law called Fruit Products offer. FPO mark guarantees that the product was manufactured in a hygienic environment and to the specifications and quality control requirements, thus ensuring that the product is fit for consumption. FPO mark is a certification mark mandatory on all processed fruit products sold in India such as packaged fruit beverages, fruit-jams, crushes and squashes, pickles, dehydrated fruit products, and fruit extracts, following the Food Safety and Standards Act of 2006. FPO certification India is effective since 1955, but became mandatory only in 2006 after Food Safety and Standards Act, promulgated under Section 3 of the Essential Commodities Act – 1955, with an objective to regulate the fruits and vegetable processing sector. The Ministry has launched many publicity campaigns to educate public as well as fruit processors to understand its necessity and mandate. All food processors are mandated to have an FPO license and carry out their operations abiding by the guidelines in order to be able to continue the business. FPO certification is a process and one should follow each and every step while applying for FPO registration or certification. FPO certification in India also applies to few more fruit products including Tomato products like tomato ketchup, tomato sauce and other vegetable juices. Proof of possession of premises i.e. Electricty bill photocopy & Rent agreement. I want to talk regarding FPO Mark. what are the documents required for fpo license for productoin of mango pickles by a co-operative society.